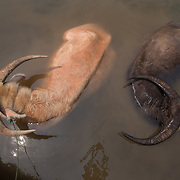 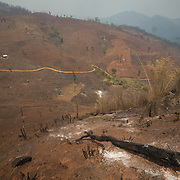 When I was on my way to Myanmar I was visualising the rich biodiverse forests that I had seen in the “Wild Burma” documentaries, but the reality is that like most countries in SE Asia, the increasingly few wilderness areas that are left are confined to remote extremities and upland areas. 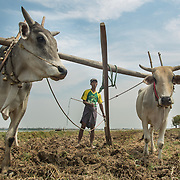 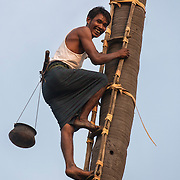 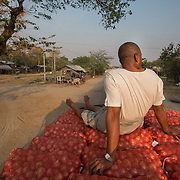 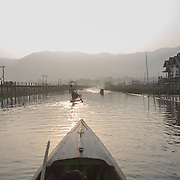 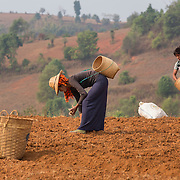 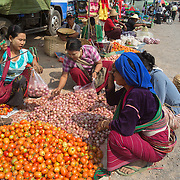 The greater land area of Myanmar comprises a vast central flat plain mostly dedicated to agricultural production, particularly rice, which accounts for 60% of the country’s total cultivated area. 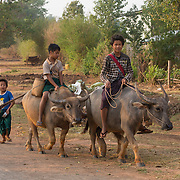 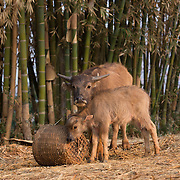 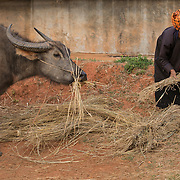 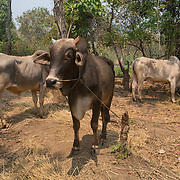 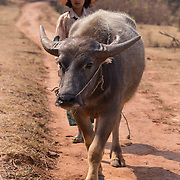 I saw very little mechanisation, and oxen and water buffalo are still the main means of labour for cultivation, and transportation in rural areas. 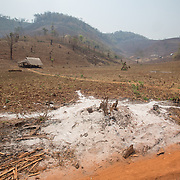 The primary method for rendering arable land is still slash-and-burn, which involves setting fire to areas of primary or secondary forest, then cultivating the land until the nutrients in the soil are exhausted, and then it’s abandoned and allowed to grow freely. 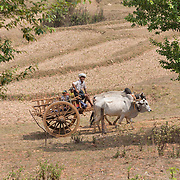 There doesn’t seem to be any forests left of any size across most of the lowland areas that I travelled in, and in some of the hill regions that I trekked I witnessed the impact of this type of farming, particularly around Hsipaw, where much of the landscape looks like an empty parched desert with a few scorched tree stumps. 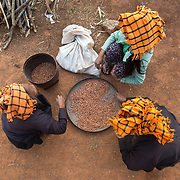 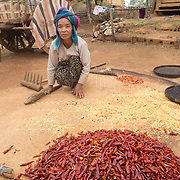 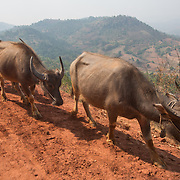 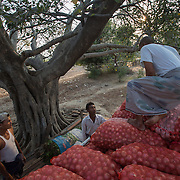 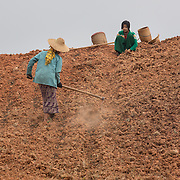 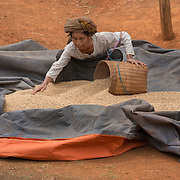 This type of farming has been accused of destroying the forests of Burma, causing soil erosion and depletion of fertility. 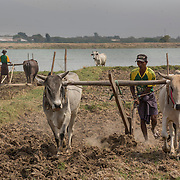 Recently some measures have been introduced to restrict the use of this farming method although some assert that it is better than more “permanent” farming systems because it’s part of a cycle of forestation that eventually allows a secondary forest to grow. 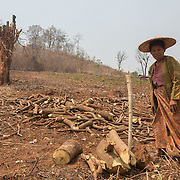 But whatever method is used there is no avoiding the depressing impact of total deforestation resulting from an ever-increasing population, and the demand for land and food production across SE Asia. 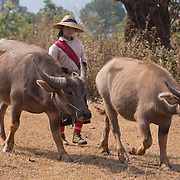 I was dismayed by how most of what I saw was quite devoid of any life, even birds and insects. 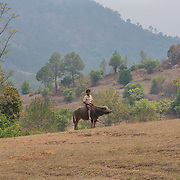 In the two months that I was there the only wildlife that I managed to photograph was one lizard.